BEACH CAMPING!! I just love the beach in the winter. No crowds, crashing waves to lull you to sleep, and days spent exploring tidal pools and playing in the sand (for the kids that is)! 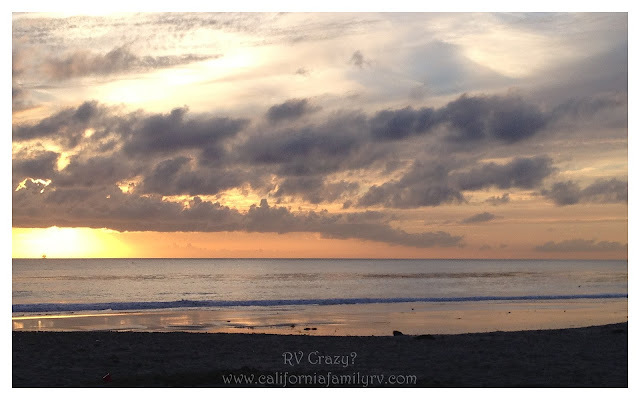 This time we're trying out a new campground in Malibu, California. I can't wait! Now off to do laundry, and dishes, and mop the floors while visions of sunsets like this one dance through my head! Happy Monday.